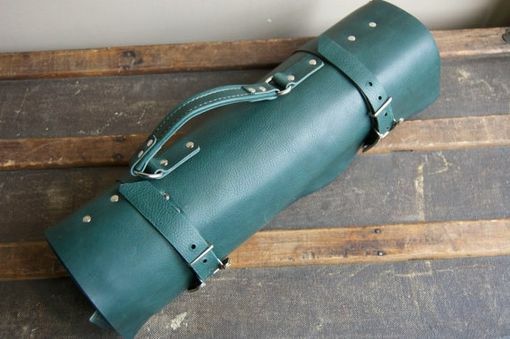 The original custom leather knife roll was co-designed with Johnny Hart, a local chef and customer. He helped us make sure that while looking good, the roll would also stand up to professional standards. 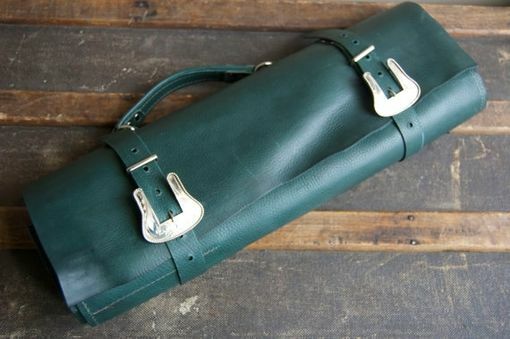 Each one is crafted from a 5-8oz sturdy cowhide, with final specifications chosen by the chef. 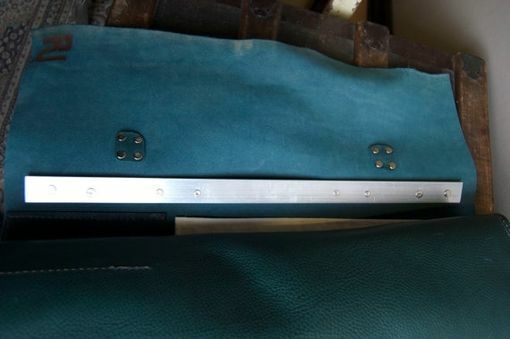 Once the order was taken, i cut out the components and machine stitched the slots in place, reinforcing the stress points with small brass rivets. 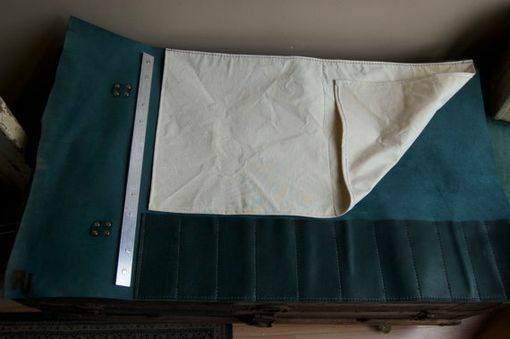 i then sewed in a 100% cotton canvas cover that reaches from the top down to the handle-slots, to further protect the blades from contacting each other. Next, i installed an aluminium bar beneath the handle with long brass rivets to provide structural support, ensuring that when being carried by the handle, the leather isn't buckling or putting stress on the knives inside. The adjustable closing straps are also riveted on with sturdy brass rivets. 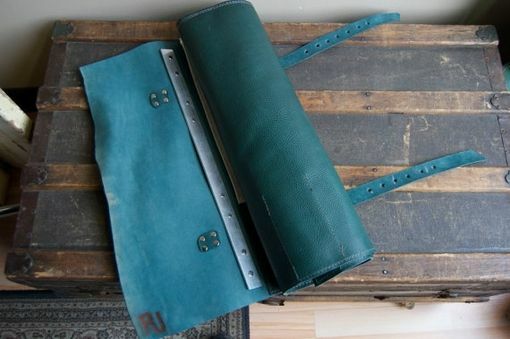 A zippered or velcro pocket can be added directly to the knife roll, or, in this case, comes separately. In the roll pictured, there are 12 slots for knife handles, each measuring between 2-3" wide, and the roll can accommodate knives up to 21" long. By Radjuli Custom Design Ltd.